TheAM Canada has roots in the worldwide Anglican Communion and receives and accepts oversight and accountability through a College of Consultors. This College of Consultors serve as guardians and overseers, and are responsible for preserving the vision and direction of the Anglican Mission in accordance with the Constitution. The inaugural membership of this College of Consultors includes the founding Primates of the Anglican Mission, which was established in 2000 by the Primates of South East Asia (Yong) and Rwanda (Kolini). 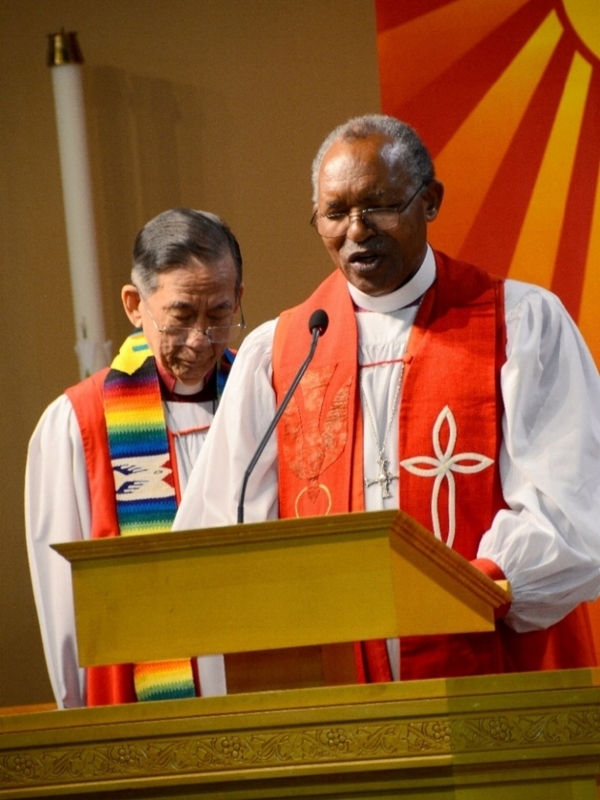 There are also members who are elected by the College from various provinces of the worldwide Anglican Church. Through the College, and the licenses for ministry they have given to Anglican Mission clergy to serve in Canada, we remain relationally and canonically connected to the Anglican Communion worldwide. *Banner image at top of page: Members of the College of Consultors and Mission Partners meet with Anglican Mission leaders from India, the USA and Canada in February of 2016.